In just a few months I am getting married and the planning is finally coming along nicely. This did mean however that when it came to getting my hair done a few weeks ago I had to think more long term than usual. I very much want to look like 'me' for the day and this includes doing my own make-up and getting my hair colour my usual blonde, just a better version of it. 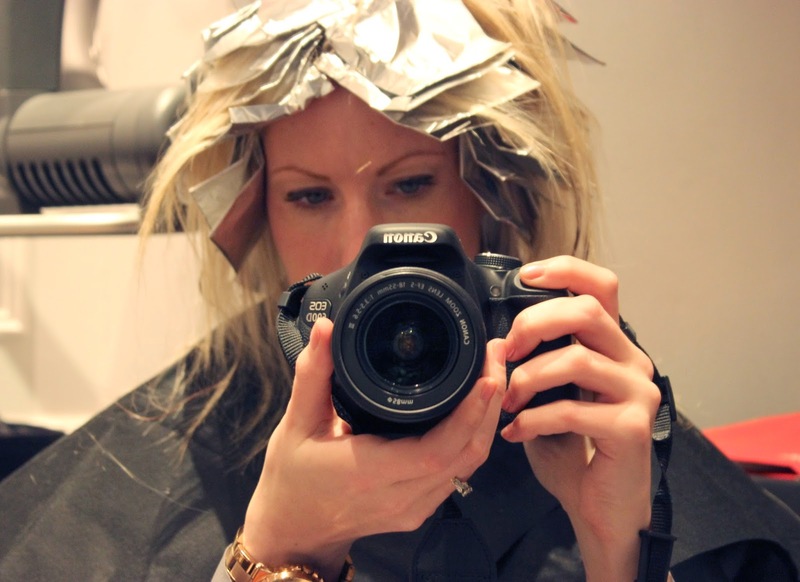 When it comes to great colour AJ at Andrew Barton in Covent Garden is the real deal. He instantly understood what I was after and talked me through the options. We went for a slightly more natural colour, still with ashy highlights but breaking them up with my natural darker blonde. The salon uses Pureology products from their Strength Care range which left my hair nourished and healthy looking with a shine it hasn't had for ages. I will definitely be trying these for myself. 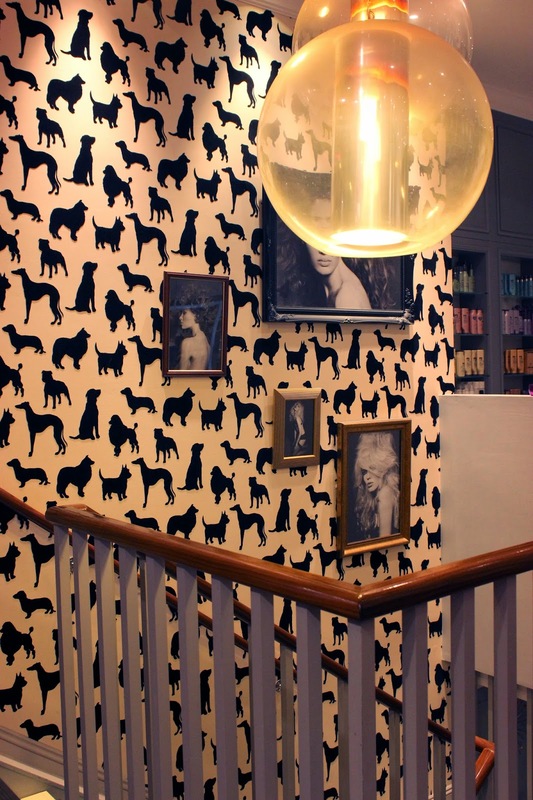 The salon is beautiful with amazing lighting and dog wallpaper (to go with their dog friendly environment - seriously, you can take your poodle with you). It is only a 3 minute walk from the tube station and is just off of Covent Garden's central square so you can pick up a new Burberry lippy in the Beauty Box and some macaroons from Laduree on the way home.